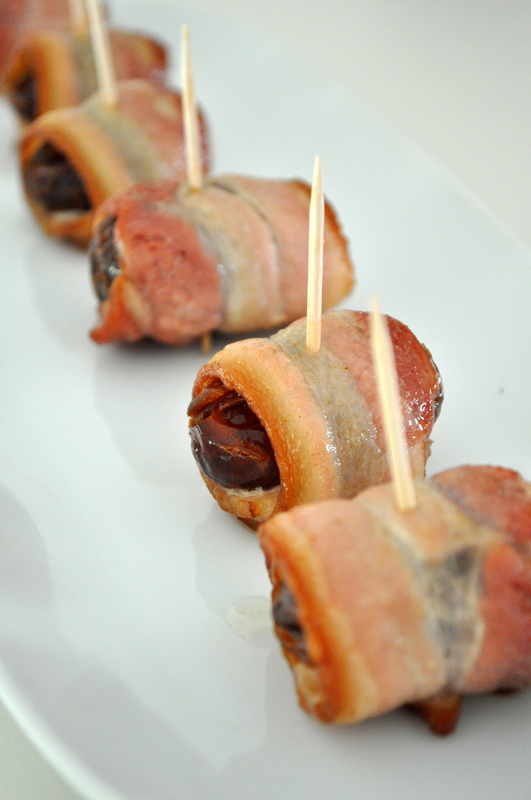 Crisp, smokey, salty bacon wrapped around soft, sweet, gooey Medjool dates. I can’t decide if these are fancy or rustic but these little gems have it all in one sweet and savory bite. I really wish I could take credit for them but my friend Cynthia is the genius behind them. I typically serve them as appetizers at dinner parties. They couldn’t be easier to make and they are always tremendously popular. Yesterday, however, I had an entirely different occasion to make them. It was a bad day from the start. It was an insanely overtired, three-cups-of-coffee-and-an-extra-long-hot-shower-can’t-snap-you-out-of-it kind of morning. A break-a-glass-bowl-on-the-kitchen-floor, Lilly-cries-for-half-an-hour-because-she-can’t-find-her-favorite-toy, kind of morning. An “I’m moving to Australia!” kind of morning. I even tried counting my blessings to turn my crankiness around but it just wasn’t happening. It was time to pull out the big guns: BACON. It was fortuitous that I even had bacon in the house. But just in case the three pieces I had were not enough, Jenny (who was also ready to buy a one way ticket to Sydney) brought reinforcements. The kids entertained each other all afternoon and we drowned our crankiness in the perfect combination of sweet and salty goodness. Okay, we also had salad but it sure wasn’t the spinach that made my stress start melting away! The ratio is half of a piece of bacon to one date. Preheat oven to 400 degrees F. Place foil over a baking sheet. (This is optional but will make clean up far easier!) If you have one, place a rack on top of the baking sheet. This will allow the bacon drippings to fall below and ensure your bacon gets crispy all the way around. Remove the pits from the dates. Cut each slice of bacon in half. Wrap each half around one date and place on a baking sheet, seam side down. 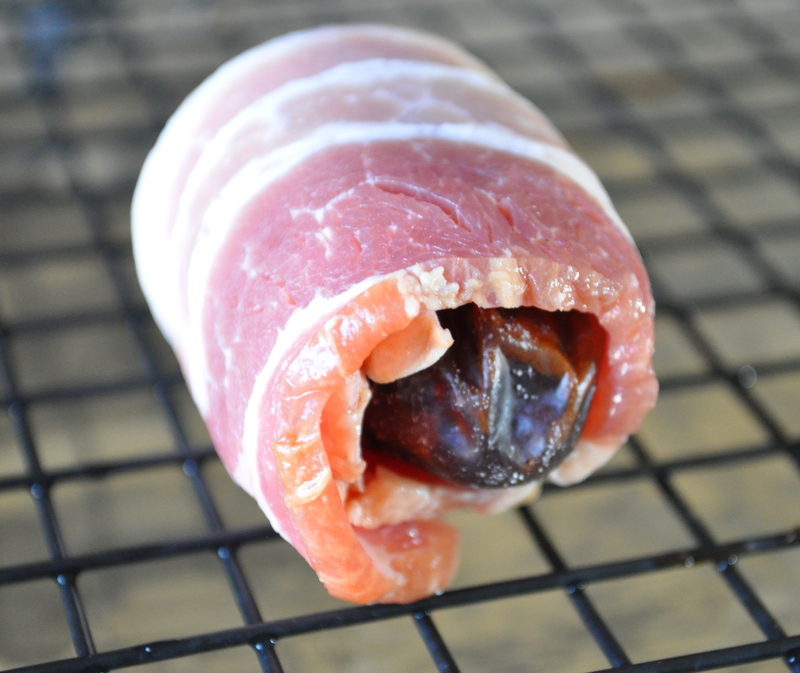 Bake for 14-20 minutes or until bacon is crisp. Baking time will vary depending on how thick your bacon is. Place a toothpick in each date and serve. I have been making these for years……everyone LOVES them! !